MP PPT 2019 Application Form last date is 16 April 2019. Madhya Pradesh Professional Examination Board (MPPEB) also known as MP Vyapam organises MP PPT. It is a State Level Entrance Examination which offers admission into various Diploma Programs in different Polytechnic colleges of Madhya Pradesh State. Candidates can opt for these Diploma programmes after passing their class 10 qualifying exams. A huge number of aspirants appear for MP Polytechnic Examination every year. Given here are the complete details about MP PPT 2019. Aspiring candidates should go through these to get an idea of the whole admission process. Latest Update: MP PPT 2019 Exam date has been announced i.e. 07 April 2019. The Professional Examination Board is autonomous Government body under Government of Madhya Pradesh. And, Government passed an act in 2017 called “Madhya Pradesh Professional Examination Board” to check and take responsibility for conducting entrance examination. 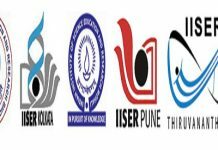 Now, the Professional Examination Board (PEB) is one of the Largest Entrance Examination, Recruitment and Selection organising body in India. Whereas, PEB conducts approximately 30 Entrance, Recruitment and Selection examinations in a year. And on an average, approximately 20 Lac aspirants take part in these examinations. A tentative schedule is provided here to give a reference for the candidates. These MP PPT dates are not official. The PEB decides the process for admission, application, registration etc. Firstly, the aspirants can fill the application form through online mode only from the official website. And, the registration process of MP PPT 2019 has been started from 02 April 2019. The candidates need to upload their recent photograph, signature, and handwriting proof. Also, the candidates are required to pay the application fee through online mode only. Finally, the applicants must take a print out of the submitted application form and keep it safe for future reference. Moreover, the applicants can pay the application fee through Net Banking / Credit Card / Debit Card or through Kiosk Portal. The admission criteria and Qualification criteria is decided by Professional Examination Board (PEB), Madhya Pradesh. Domicile: A candidate must be in possession of Domicile Certificate of Madhya Pradesh State. Qualifying Examination: The students must have passed Class 10 or equivalent from Recognised Board / University. The students who passed with grace marks can also apply for the examination. Subjects: An applicant must have passed the qualifying examination with Physics, Chemistry, and Mathematics as mandatory subjects. Minimum Marks: The candidates must have secured at least 35% aggregate marks in the qualifying Examination (Grading Marks are not considered as minimum marks). Mode of the Examination: The exam will be conducted through online mode. Medium of Exam: The question paper will be asked in both Hindi & English language. Type of Question: The question paper will consist of objective type question. Duration of the entrance Exam: The complete duration of exam about 2 hours. Total Questions: 150 questions will be asked in the exam. Madhya Pradesh Pre-Polytechnic test syllabus is given below. MP PPT 2019 Admit card will be released through online mode tentatively from the month of April 2019 in two parts: PART 1 comprise of candidates & exam details. PART 2 contains the candidate’s signature, thumb impression & calligraphy which candidates have to fill on the exam day. Candidates will not get it through any other mode. Candidates must take print out of the Hall ticket as it is the mandatory document to sit for the exam. Without it, candidates will not be allowed to enter the examination form. How to download Madhya Pradesh Pre Engineering Test Hall Ticket? Fill your Application number & Date Of Birth. After that click on ‘Search’. The Hall ticket will be displayed on the screen. MP PET 2019 result will be declared tentatively in the First week of July 2019 after the completion of the test, through Online mode.Candidates can check their result by entering their roll number and Date of Birth. After the declaration of result, merit list will be published. A separate merit list will be prepared for the Reserved categories. Cut off will be published by the Authority after few days of declaration of result The cut off marks will decides the candidate’s eligibility for admission.The cut off marks are the minimum qualifying marks at which the admissions will be offered to the qualified candidates. It is necessary for the candidates to score the minimum cut off marks to participate in the counselling. After the announcement of result the Authority will release the common merit list. In the merit list, the name of the selected candidates will be mentioned according to the rank scored by the candidate in the entrance exam. The candidate’s name, category and rank will be mentioned on the Merit list. The counselling will be conducted in the month of June 2019. Candidates must appear in the Counselling as per the schedule specified by the officials. 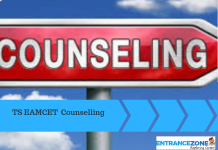 Candidates have to fill the preference of course and the colleges where they want to get admission in Counselling. Participating candidates have to carry the original documents for the document verification process. The Madhya Pradesh Pre Engineering Test is also conducted by PEB. 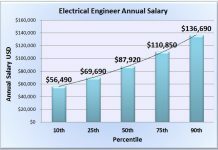 The aspirants who are seeking admission into Engineering degree programs must consider to apply and take this examination. Also, MPPET was also known as vyapam board. For more information and updates related to MP PPT 2019, stay tuned with EntranceZone. ppt form 2019, ppt exam 2019, mp ppt 2019 syllabus, ppt application form 2019, ppt exam date 2019 mp, mp ppt form date 2019, ppt exam form 2019.